Big Changes at Window Works Studio!! 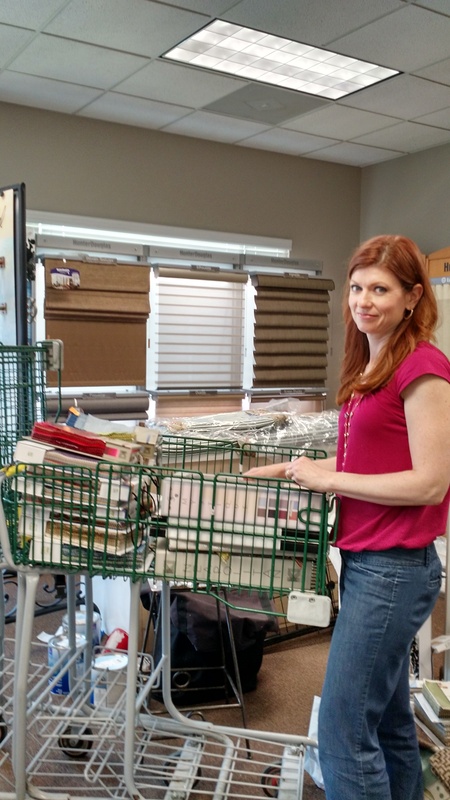 Window Works Studio is on the move! We recently purchased the business condo next to us because we have completely maxed out our space. We did our best to utilize every square inch, but the time had come to expand. The For Sale sign went up next door at the perfect time and we jumped on the opportunity! The previous owner was leasing out the space. So, it worked out to continue leasing the front half of the condo to that business and we took over the back half. 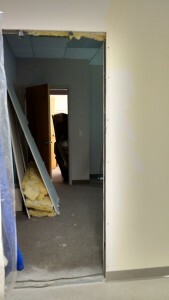 In a short period of time, we had a doorway put in to connect the spaces, painted, moved into 2 new office spaces and completely re-arranged and organized the workroom...all while keeping the doors open for business. Whew! We are exhausted! 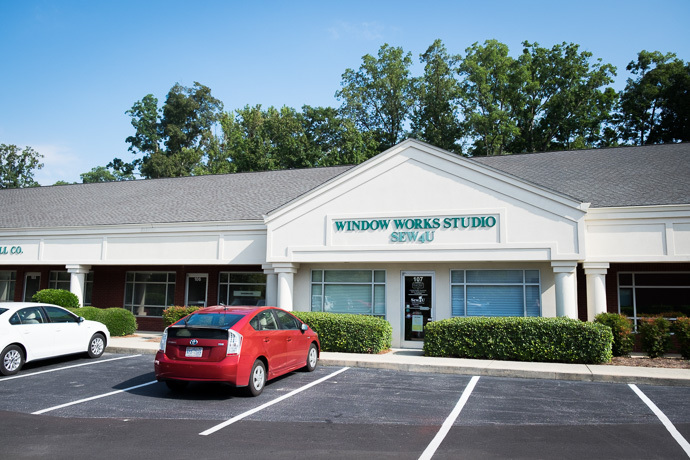 The "Big Changes" at Window Works Studio include growing our team. Over the last 6 years, Amy Gilbert and I have filled every role in our company. 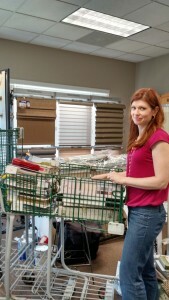 On occasion, we have had temporary help in the workroom, but by and large, Amy and I have done it all! Thankfully, our clothing alteration company, Sew4U, has been blessed to have Sherry Sumner as our Lead Seamstress for many years. Where would Sew4U be without her?!? Now we have grown to the point of needing to add more members to our team. 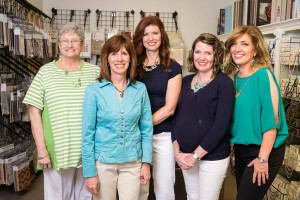 This year, Staci Stepp and Cynde Cash joined us to fill the roles of Office Assistant and Design Consultant. We couldn't be more thrilled! This has allowed us to improve our processes and take better care of our customers. Read more about Staci and Cynde HERE. You may have noticed a different look to our communication and definitely if you have visited our website in the last week. Several months ago, we began the process of developing a new logo and website. As much as we loved our previous logo, website and colors, it was time for something new and fresh. 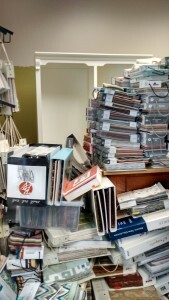 We hired the team at Nu Expression in Winston Salem, NC to help us with this endeavor. They have done a fantastic job creating our logo and website. Let's just say, we are kind of picky and even though I wondered if they were going to fire us, they worked with us until we were completely satisfied with the end result! You may have heard that doctors and nurses make the most challenging patients...well, same goes for working with those of us in a field that focuses on color and aesthetics! If Nu Expression can create a logo and website that tickles us pink, we are confident they can do the same for anyone!